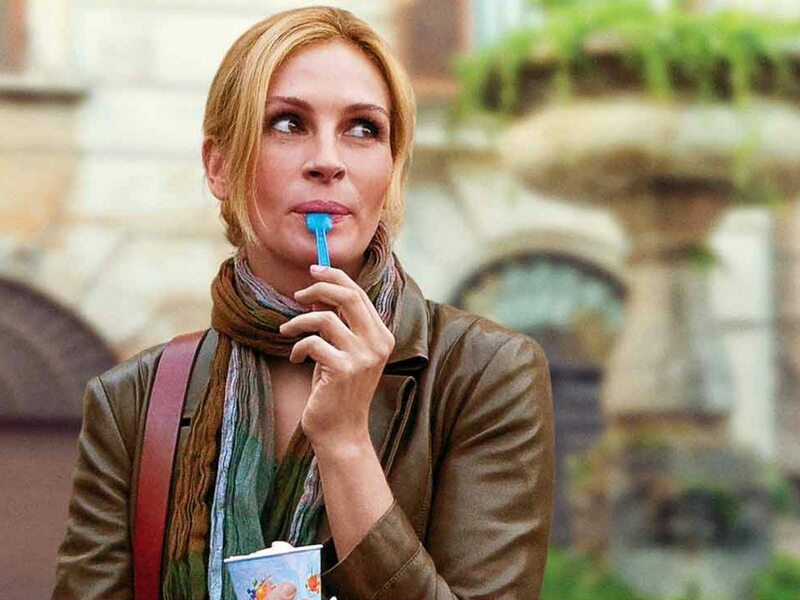 From producer Brad Pitt and director Ryan Murphy (TV’s Nip/Tuck, Glee) comes Columbia Pictures’ new drama Eat Pray Love starring Academy Award-winner Julia Roberts. The film is based on Elizabeth Gilbert‘s international bestseller of the same title. Eat Pray Love also stars James Franco (Spider-Man trilogy), Richard Jenkins (TV‘s Six Feet Under), Viola Davis (Nights in Rodanthe), Billy Crudup (Mission: Impossible III) and Oscar-winner Javier Bardem (No Country for Old Men). In the film, Liz Gilbert (Roberts) is a modern woman on a quest to marvel at and travel the world while rediscovering and reconnecting with her true inner self. At a crossroads after a divorce, Gilbert takes a year-long sabbatical from her job and uncharacteristically steps out of her comfort zone, risking everything to change her life. In her wondrous and exotic travels, she experiences the simple pleasure of eating in Italy, the power of prayer in India, and, finally and unexpectedly, the inner peace and balance of love in Bali. Indeed, there really is more than one way to let yourself go and see the world. Eat Pray Love is produced by Dede Gardner, with a screenplay by Ryan Murphy & Jennifer Salt. Executive producers are Brad Pitt, Stan Wlodkowski, and Jeremy Kleiner. Director of Photography is Robert Richardson, ASC. Production Designer is Bill Groom. Editor is Bradley Buecker. Costume Designer is Michael Dennison. Music by Dario Marianelli. Music Supervision by PJ Bloom.